I remember going to this place when it was Homestead Golden Fried Chicken when I was very young. I remember they had a large wooden cartwheel by the door and the light fittings hanging inside, from the ceiling were small cartwheels. They had the best hot chips with chicken salt. I also went here often when it was Kentucky Fried Chicken, my mother hated that drive through machine, it was a pain in the arse. I had totally forgotten about Homestead Chicken! Don’t think I ever ate at one, but I vaguely recall their ads. 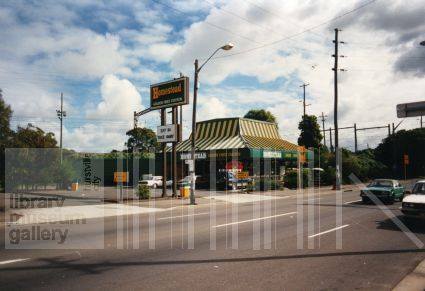 I remember going to Homestead Chicken in Hurstville on the day it opened. I’m pretty sure that there was some sort of freebie involved 🙂 I agree with Ika, the chips were divine. 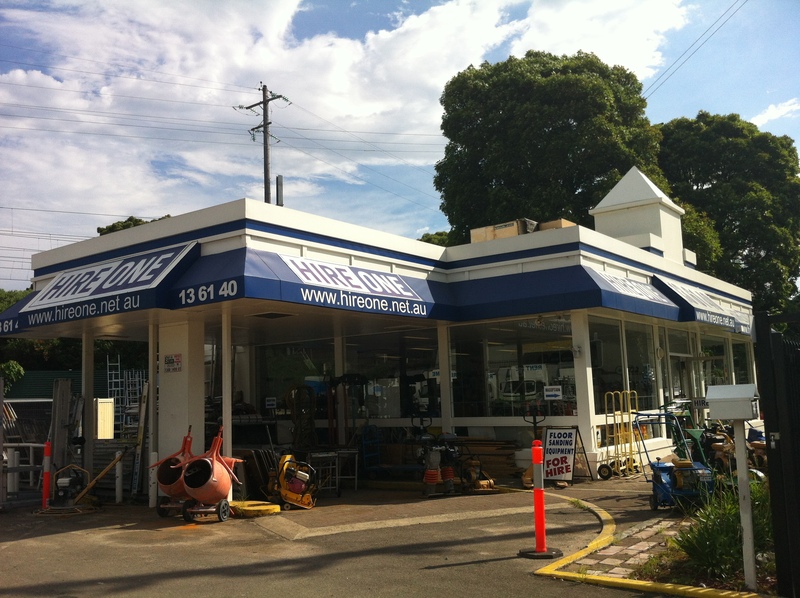 There was also one at Kingsford, on the corner of Barker Street and Anzac Parade. I would often pop over from UNSW for a feed as a student in the early 80s. 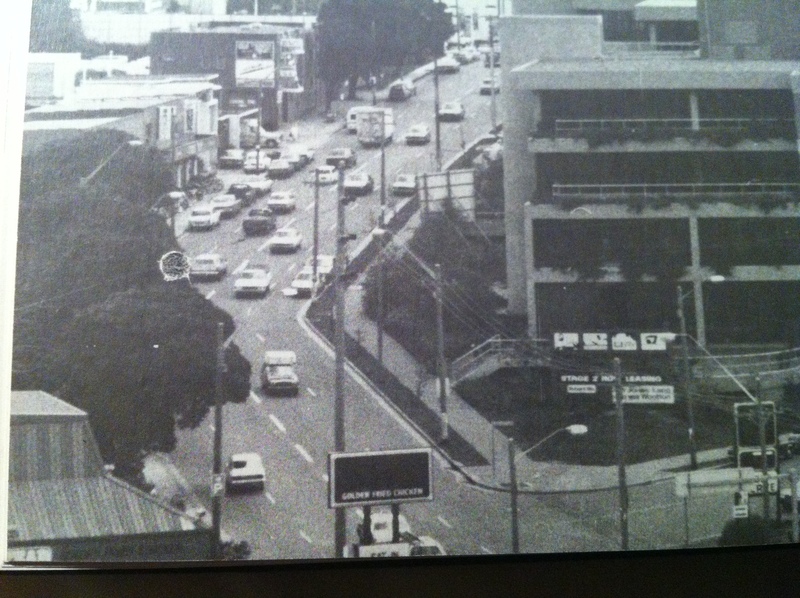 The large buildings on the right, opposite Homestead in the first photo, were built on the site of a Holden dealership. I can’t remember what they originally traded as, however in the dying days of the business I think it was Suttons. Up the road a few hundred metres, of course, was Dominelli Ford. They used to drag out a Ferdie Bird suit (with some poor sweltering bloke in it) at promotions, and I remember being very excited to meet the Bird himself at a school fete! 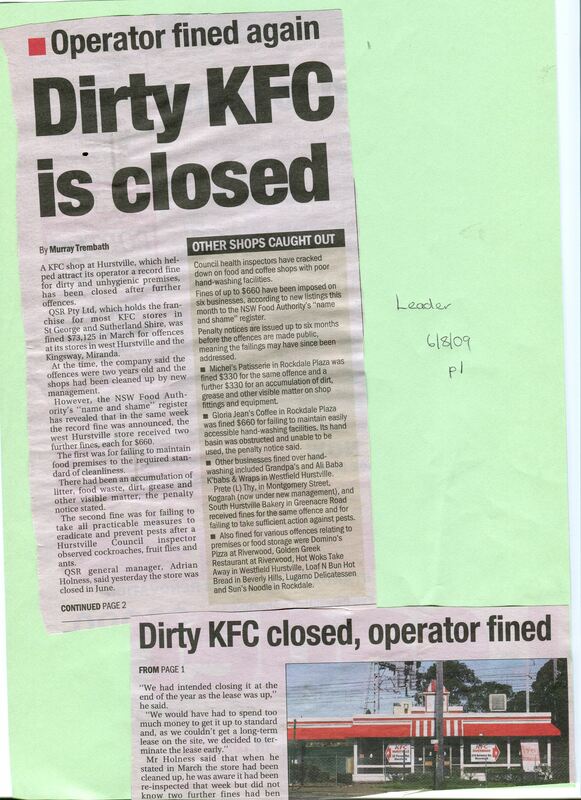 Very interesting to read about the history of this site in West Hurstville – i don’t remember it being anything other than a kentucky fried chicken, guess I was just too young. Also, thanks for the photo credit! Glad to see it on such an interesting and fascinating site! I’m from New Zealand (Wellington). Now living in Sydney Australia. I remember “HOMESTEAD” in Porirua 1983, down at the Porirua shopping centre. Dat was back in the Old-Skool-Days. My in-law, he alway’s get Homestead Chicken and Sweet-breads were my favourites and the Cheese Cakes. And I still remember them “HOMESTEAD” white foam Box, to keep your Chicken nice, hot & fresh. And yes Sweet-breads was my favourite and the Cheese Cakes. I Can’t STOP THINKIN’ About it. My mum goes on about the sweetbreads which anyday I want to recreate crumbed I believe she said :)fond memories! I have fond memories of this store. I was three when it closed and we had turned up one night to get dinner before realising it had shut down. That sent me into tears! Their mushrooms were the only mushrooms I would ever eat as a child. Chicken Express was the company that took over Homestead in 1991, but they had no stores in the St George area. We used to use the drive through often, particularly in the KFC days. It was a fairly strange way of ordering takeaway! 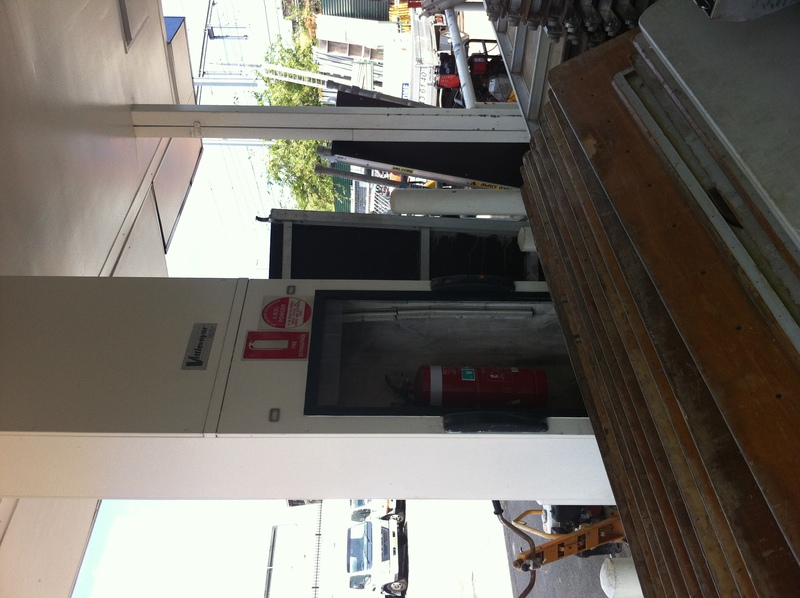 The Homestead drive thru dumbwaiter was used because the carpark was situated the wrong way around for a traditional drive thru. Driver couldnt drive to window. Remember Homestead from when I was quite young and can still sometimes almost taste the mushrooms – something my mother and I reminisce about lol and I would die to have some again!